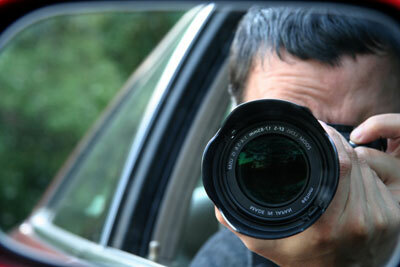 Despite popular opinion, private investigators can prove useful in a huge variety of situations. If you’re looking to track down a distant relative, or need insight into a case that you’re unable to investigate yourself, then a private investigator may be an effective solution for you. Using their services, you can compile information and act accordingly. This is relevant to a number of instances, ranging from personal suspicions in families to professional queries within a business or concerning colleagues. As personal investigators have a reputation for being somewhat stealthy in popular culture, hiring one can seem daunting. However, prospective customers will be happy to know that hiring a private investigator is actually a relatively straightforward task. Using a few simple tips outlined below, you can find and employ a personal investigator, safe in the knowledge that any information sourced will be confidential and personal to your case. When looking for a personal investigator, there are a number of factors to consider. The most important consideration for you to make is what jobs you will expect the investigator to carry out. Certain investigative agencies have restrictions to their abilities, which is why you need to assess what you need before you commit to them. If you’re looking for an investigator that can perform background checks and source more restricted information, for example, then you may require an agency that has the authority to do so. This is very common, but is still worth noting prior to you beginning your search. Once you’ve assessed your needs and found a number of prospective investigators, you should contact the agencies with a fee request. This will allow you to determine which companies fall within your budget. While many investigators will give a general cost outline online, it’s impossible to know exactly how much they will charge, until they know in detail the nature of your job. This is relevant to most investigative services. As soon as you find a company that matches your needs and your budget, you should be able to hire them ether over the phone or online. They may ask you to meet with them to discuss the situation in private, or you may be asked to provide very minimal information for them to consult. Once arrangements have been made, the investigators are then free to begin researching into your case. In many instances, the results you were seeking may be delivered to you within mere days of your request- although this depends on the level of service. This is one special work.